Unfortunately, the online trading world has been plagued by many scam forex brokers and binary options providers. Forex scams came in many different shapes and sizes. So far there have not been any scam cTrader brokers that we know of. A few things they had in common were that they offered the MetaTrader 4 platform, they were registered in an offshore jurisdiction and they were unregulated. These bad actors set up their forex brokerages with the sole intention of getting rich quick. Not every MT4 broker, registered in St. Vincent is looking to cheat their clients, but it’s hard to know what’s what. This caused big problems for the online trading industry. Financial crimes are taken very seriously in first-world countries. Recently ESMA took extreme measures to protect investors inside Europe. These measures were very similar to those taken by the United States, except US citizens are not allowed to trade with brokers outside of the US. Europeans, however, are allowed to trade with brokers outside of Europe. 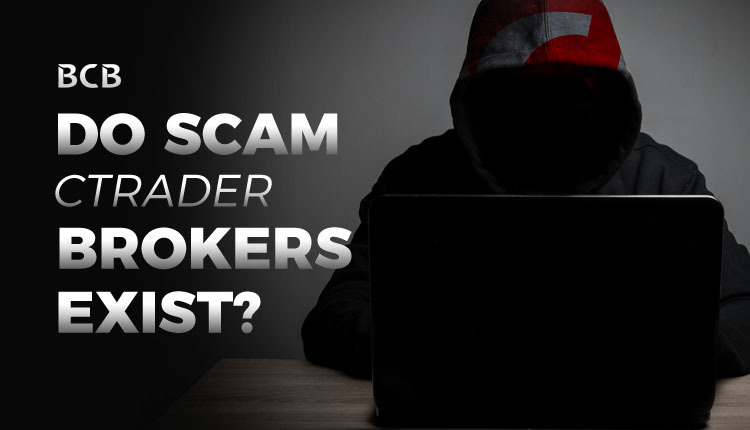 How do Forex Brokers Scam Traders? You will see regulators like the FCA, ASIC, NFA and others issue warnings against brokers. These warnings could be made against either regulated or unregulated brokers. Sometimes regulated brokers can be punished for not following the rules. The most common reason is for accepting clients from countries they are not registered with. There are of course extreme cases of brokers completely failing to meet their responsibilities, such as reporting or capital adequacy requirements. Even more extreme would be regulating brokers laundering money, stealing clients money, which is very illegal and will come with severe punishments. The FCA’s list of unauthorized firms has over 4,600 entities listed. Cloning the brand of an established regulated broker to trick you into depositing. Manipulate the prices to make you unprofitable. Edit your trading history to erase your profitable trades so they don’t need to pay you. Simply take your money and refuse your withdrawals. Scam cTrader brokers are incredibly rare. We believe the main reason for this is because the platform is designed in a way that prevents manipulation. Brokers cannot manipulate price feeds and they cannot edit your trading history. The typical modus operandi of a scam forex broker is to lure existing traders of other brokers as easily as possible. The best way to do that is to offer MT4, the most popular platform. Moreover, Spotware, the company behind the platform claims to distance itself from brokers which they think don’t share their Traders First vision. 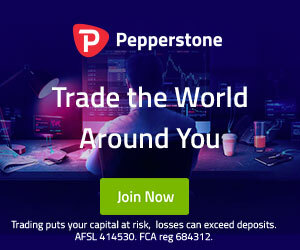 Are There any Scam cTrader Brokers? At a glance, it doesn’t look like there are any brokers using cTrader to outright scam investors. There are, however, a number of brokers who we would not necessarily consider responsible enough to provide financial services. Having good intentions is one thing, being competent is another. The main purpose of the regulation application process is to check that the company running the brokerage has the expertise and resources to run it effectively. Mismanagement will ultimately harm investors. As stated multiple times in this post, there is no history of scam cTrader brokers. Certainly, you can trust any cTrader brokers listed on our site. Some cTrader brokers out there do appear to be questionable in some respects. Let’s explore. According to various news sources in Thailand, the team behind the broker MarketeerFX were arrested in Thailand. This team seemed to have set up shop by legitimately procuring the MetaTrader 4 and cTrader platforms and creating a decent website for the brand. However, the company has since gone offline. Three people were charged with various crimes related to fraud. Authorities in Thailand received complaints from over 100 people. The companies MT4 platform still seems to be operational. We have been able to create a demo account. When we download the desktop version of cTrader we see a message saying “This broker has been suspended”. Meaning Spotware has suspended these brokers operations, probably the moment they understood they were running a scam. Source of information and image from khaosod.co.th. Similar to the previous case, AlphaBetaFX also known as ABFX shows some suspicious signs. Their cTrader platforms don’t seem to be working. We downloaded the desktop version of cTrader from their site. Here is the message that we got. We also tested the web version of AlphaBeta FX cTrader and got a similar message. The Android app which is still available in the Play Store tells a similar story too. Their last Twitter post was 6 weeks ago but they are active on Facebook. Their website is full of grammatical mistakes. They have screenshots of platforms which they don’t offer. Our opinion, do not trade with AlphaBetaFX. Fort Brokers, abbreviated to FB is another cTrader broker who’s applications show the same signs as the aforementioned brokers. A visit to their website shows that no SSL certificate is installed, meaning you should never submit personal information on this website, it might not be secure. Moreover, when paying a visit to their cTrader web platform. Our opinion, do not trade with Fort Brokers. While cTrader is a very reputable platform, nothing is foolproof and scam cTrader brokers can exist. All areas of financial services have attracted con artists and criminals. Be careful and vigilant at all times. Think twice before separating from your hard earned cash. Always choose a regulated broker, that’s your best chance to avoid issues. Don’t forget, you can always refer to our list of trusted cTrader brokers.